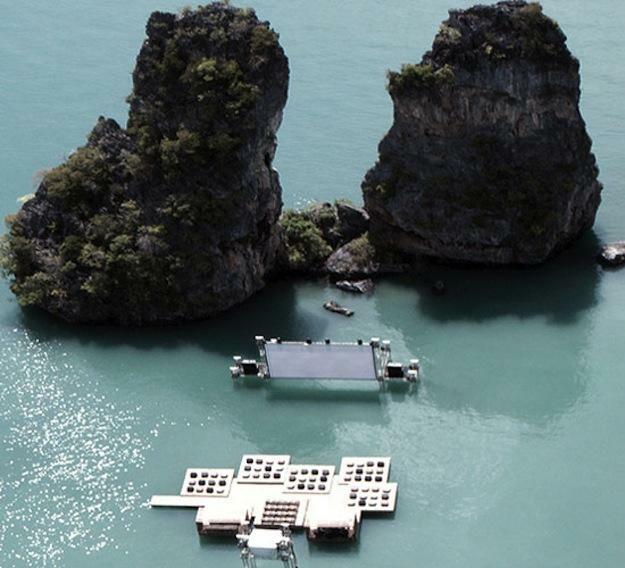 The main problem with Thailand’s innovative new movie theatre, which floats in the Andaman Sea off the coast of Yao Noi Island, is that with such gorgeous surroundings, who will pay attention to the screen? 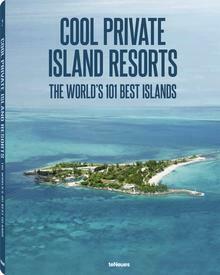 Out of the vibrant turquoise ocean rise some of Asia’s most spectacular land formations: sky-scraping towers composed of limestone karst rise out of the waters like stone cathedrals, a surreal compliment to the shallow, sparkling seas and jungle-covered islands. What cinematic fiction, however beautiful, could compete with that? The theatre, dubbed the “Archipelago Cinema”, is composed of two parts; a stabilized screen at the foot of two rocky limestone mountains, and a separate platform, built using rafts borrowed from local lobster fisherman and given buoyancy with rubber tires, atop which comfy seats await festival viewers. The creative design was the brainchild of renowned German-born architect Ole Scheeren, who is based out of Beijing, a hotbed of boundary-pushing architectural work. The dashing young designer was a former partner of Rem Koolhaas’ famed Office for Metropolitan Architecture, and has been responsible for several new landmark buildings in China and Singapore. His installation was not to last, though, as after the film festival, it was dismantled and the materials – rafts, tires, and fishing nets – were returned to the locals from whence they came. 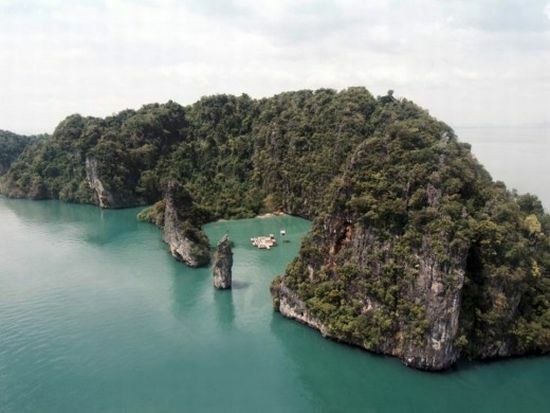 The organization behind the festival, the Film on the Rocks Yao Noi Foundation, may repeat the event next year, however. Chaired by Nat Sarasas and Chomwan Weeraworawit, partners in Six Senses Yao Noi Resort, and independent film director Apichatpong Weerasethakul, the festival can also boast of having the luminous Tilda Swinton as a curator. It will be interesting to see what will be in the works for the festival next year – a stunning floating theatre will be hard to top, but the creative power behind the Foundation will no doubt have surprises in store.